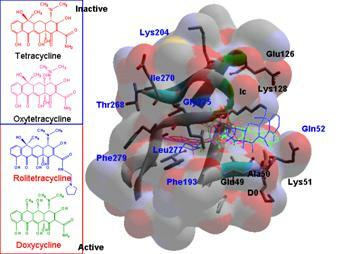 The World of Drug Discovery, Function (Structural) Bioinformatics And Systems Biology. My Ph.D. students, Chun-Chen Chen (陳俊辰) and Chi-Hua Tung (董其樺), obtained Ph.D. Degree. 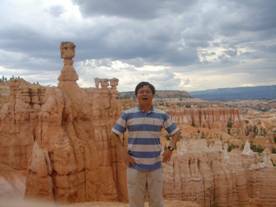 Co-advised Ph.D. student, Yen-Wei Chu (Dr. 朱彥煒), started Assistant Professor at Institute of Bioinformatics, National Chung Hsing University, Aug. 2008. [3D-BLAST and fastSCOP: Structural Genomics] Our paper, Kappa-alpha plot derived structural alphabet and BLOSUM-like substitution matrix for fast protein structure database search, was published in Genome Biology. In this paper, we present a novel protein structure database search tool, 3D-BLAST, that is useful for analyzing novel structures and can return a ranked list of alignments. This tool has the features of BLAST (for example, robust statistical basis, search effective and reliable search capabilities) by using a kappa-alpha (k, a) plot derived structural alphabet and a new substitution matrix. 3D-BLAST searches over 12,000 protein structures in 1.2 seconds and yields good results in zones with low sequence similarity. fastSCOP (fastSCOP: a fast web server for recognizing protein structural domains and SCOP superfamilies, published in NAR) rapidly identifies the structural domains and determines the evolutionary superfamilies of a query protein structure. fastSCOP uses 3D-BLAST to scan quickly a large structural classification database and MAMMOTH, a detailed structural alignment tool, is adopted to refine domain boundaries and to identify evolutionary superfamilies. [PPISearch and 3D-partner: Systems Biology] We derive a new concept, called the 3D-domain interologs which is similar to interologs. The 3D-domain interologs is defined as Domain a (in chain A) interacts with domain b (in chain B) in a known 3D complex, their inferring protein pair A' (containing domain a ) and B' (containing domain b ) in the same species would be likely to interact with each other if both protein pairs (A' and A as well as proteins B and B') are homologous. 3D-partner (3D-partner: a web server to infer interacting partners and binding models), published in Nucleic Acids Research, predicts interacting partners and binding models by using 3D-domain interologs through structure complexes and a knowledge-based scoring function. 3D-partner utilizes IMPALA and PSI-BLAST to identify homologous structures and interacting partners of a query protein sequence. 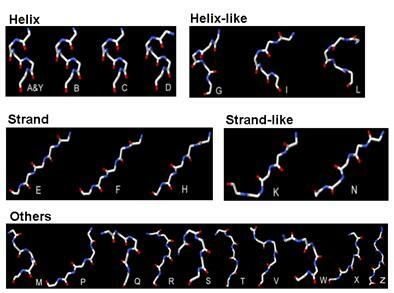 These homologous structures and interacting partners were evaluated by a new scoring function which considered steric and special-bond matrices but also the interfacial stability (couple-conserved residue score and template similarity). [FCEA: Bio-inspiration Computation Methods] Total cited number of our papers, bio-inspiration computation methods (called FCEA) and their applications, was over 250. 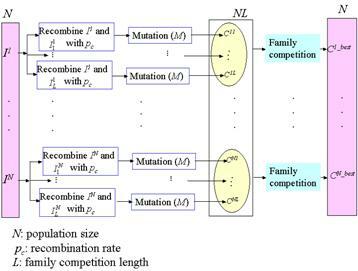 FCEA combines adaptive mutations and family competition to solve optimization problems in widely differing fields (e.g. function optimization, constrained optimization, and thin-film design, neural networks) and Bioinformatics applications (e.g. protein-ligand interactions, protein-protein interaction sites, protein folding, Microarray analysis, and QSAR model). 1. 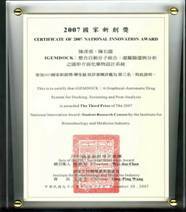 Tsai-Wei Shen (沈再威, master student) and Chi-Hua Tung (董其樺, master student) win the prizes of 2004 and 2005 Best M.S. and Ph. D. Dissertation Award, respectively, hosted by IICM (Institute of Information & Computing Machinery). Copyright © 2006 BioXGEM Lab.